Dear users, We’re glad to introduce the new version of Locus Map – 3.5.0. What is the most important change? Maybe the application icon. Have you noticed it yet? Locus has new icon in the style of material design. More modern, what do you think? But let’s examine other changes. In Locus store are are available new versions of offline vector maps for all world countries. Vector maps in Locus 3.5.0 are optimized for devices with high resolution. We also improved the themes for vector maps – especially the SKI theme could be interesting for you at this moment. But the main improvement comes with offline database of POI (Point of interest). Every vector map contains set of points that can be shown over arbitrary maps. You can search for the points around you. In case that you have shown vector map, then simply touch the icon and Locus shows some additional information. You can list the POIS via Menu > More > Points of interest. Please note that this feature is still in beta and it can change in the future. New version of Locus offer for you new widgets that enable to start track recording without starting Locus. There are two sizes – the bigger one provides more information and you can add points to the recorded track directly from the widget. We’ve introduced new pop-up balloons in the last version and it seems that these pop-ups are very popular. We’ve received dozens of ideas how to customize or improve this feature. It’s not possible to add everything but we selected the most wanted like distance, last logs for geocachers. What do you think? Is it better? Ahoj, pri sťahovaní apky z Google Play mi vypíše Neznámy problém, kód chyby 44.
just a very very little question: I can’t see any difference between old and new application icon. Am I wrong? Could it be because of Android version (4.1.1, on Asus Padfone)? I am not able to download because of androidpit. What about my coins? Is there a androidpit solution to get Version 3.5? Some Plugins stopped working , too :(. Unfortunately AndroidPIT neglect it’s users (you). We as developers can not offer any movement off license. Add-on – would you please specify problems with add-ons more detailed, please? 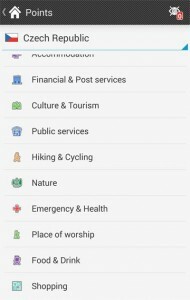 Maybe one note you can install add-ons also from Google Play store. Can you confirm that all existing vector maps (e.g. 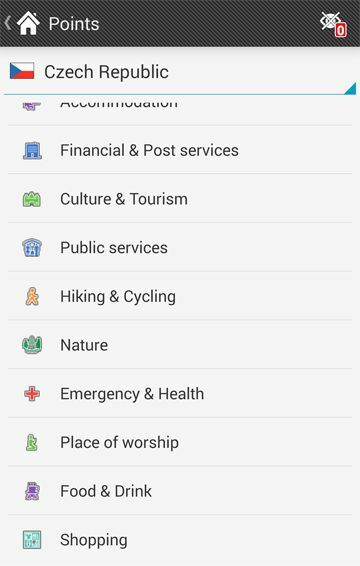 downloaded from Openandromaps) are still compatible with the new version of Locus? This issue does not have big impact because more detailed levels works fine but it’s needed to mention it. Examining some map I found as 3.5.1 doesn’t display house numbers on random buildings, comparing to 3.4 on the same device numbers were always visible (I am sure about specific area). Checked out on my second device now, with v.3.4 still all numbers visible. Thanks for the great New update! Where Do I get the offline POI file? on a trip I found tons of POI icons around me. Now I find no way to get those back. I can research single POIs of course and locate them on the map, and there is a single icon then. But not all the others as initially, for which I did nothing special, BTW; they simply showed up by themselves. Can you pls advise ? not sure if I correctly understood. If you use new vector maps (version 2014-11-10) then icons on map are touch-able. In case that you show non-vector maps or some older vector maps then icons are static as used to be. I believe Michael means this: if you are browsing a map with POI at this same high zoom level they appear at new areas moving a map in any direction. But when zoomed out, POI do not display anymore in new parts of the map but stay only as a bunch of icons on the last magnified location. For that we have to go to ‘Points/Points Around’ and let load ‘All Points’ near new (or chosen) location. It seems as we can see roughly 100 POI at once according to ‘Points Around’ list. Anyway when zoom out there is no need to show all points in the region as icons don’t rescale. Secondly, all described map theme changes apply to current maps or new compilations will include something new? My understanding is you call ski theme as winter theme, and POI database still has to be stored as separate file, right? There’re really lots changes in internal themes for vector maps. The map itself looks probably similar as the old one themes but we reviewed almost all attributes. Themes respect the resolution of the devices so the map has same appearance on different devices. Also almost all texts (captions) on map are changed. Ski theme is still called SKI – I used probably wrong sentence in the post. I’m not sure if I clearly understand your second question. Offline POI is really stored as separate file. Why asking, as I am confused if new themes work with old map files? A map from August will work with new themes or I need newest from November as you have mentioned above about Cyprus for instance? Or, only new maps compiled in the future will display new themes? ‘In Locus store is prepared new version of offline vector maps that cover whole world’. Looking at the Locus store haven’t seen new countries uploads right? POI work smooth so far on my device BTW. Don’t worry new themes works with old map files. So it isn’t needed to update the map itself. Worlds vector maps – sorry for bad English. It should be: In Locus store are are available new versions of offline vector maps for all world countries. We only wanted to say that we’ve updated vector maps for every country. To blikání mapy (tedy ten “efekt”) při zoomu je pěkný opruz 🙁 Jde to nějak vypnout? Jestli Vám Locus nějak problikává, tak to bude asi chyba. V nvé verzi by se jednotlivé části mapy (dlaždice měly postupně načítat i řekněme plynule objevit). Bylo by možné zaslat nám krátké video, jak se mapa chová při zoomování na support.locus@asamm.com ?? 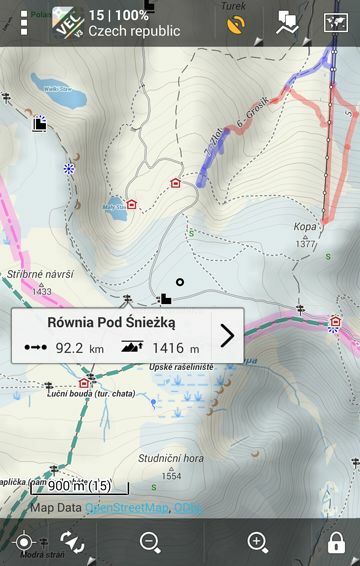 mám stejný problém, při zoomu mapa problikne zhruba na 0,2 sekundy do šeda než se nazoomuje na další level mapy. Tento problém je ve verzi 3.5.1. i 3.5.2. Musel jsem se vrátit k verzi 3.4.0, kde tento problém není. Poslal vám Majky video ? Pokud ne, mohl bych poslat případně já. Tak mám staženu mapu Kypru z Obchodu Locus. Po aktivaci ale Locus okamžitě padá. Staré vektorové mapy fungují dál. Děkuji, zkusli jsem stáhnout z Obchodu mapu Lichenštejnska. 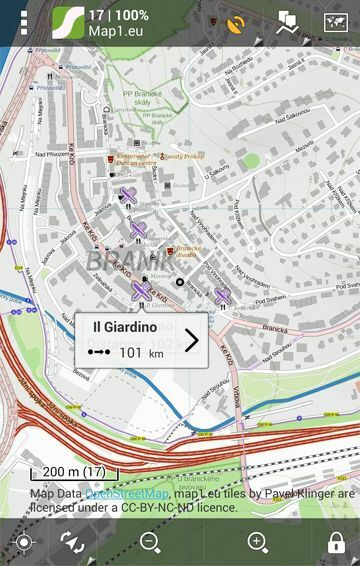 Datum 10.11. na mapě soulhasí ale Locus spadne opět. Po smazání souboru s koncovkou .db už se načíst dá. Dále bych se chtěl zeptat, jestli chcete obě stažené mapy používat a nebo jestli jste je stahoval jen za účel testování. V takovém případě bychom Vám nákup stornovali a vrátili LoCoins. V poslední verzi 3.5.1 se mi mapy zobrazují dobře. Kde si prosím můžu stáhnout nové vektorové mapy? Nové vektorové mapy jsou k dispozici v Locus store – tedy Menu > Obchod > vybrat region > Asamm SW > a vybrat Offline vector maps. Je to zajímavé, na 5″ mobilu (Cubot X6 1280 x 720) mají mapy původní barvy, ale na 10″ tabletu (Toshiba 2560×1600) jsou hodně vybledlé. Mapy používám SmartMaps. omlouváme se za komplikace. K dispozici je nová opravná verze, která řeší tento problém. there is new version in Play Store that solve this issue. jest nowa wersja sklepu, że w grze rozwiązać ten problem. Po posledním updatu totalní průšvih. Mapy se zobrazují jako vybledlé a to jak vektorové tak rastrove. Totéž na Xperia.Z2 i na tabletu Samsung Galaxy Note 10.1. Za denního světla téměř nečitelné?